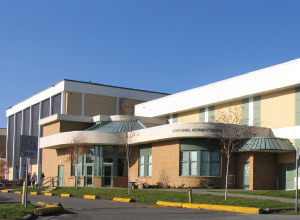 Centennial Secondary, School District 43's first high school, is surrounded by fabulous recreational facilities. 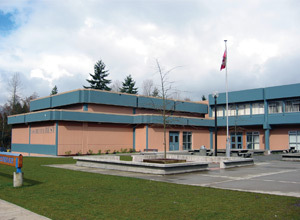 The schools facilities include three gymnasiums, theatre, new cafeteria, covered outdoor student common area, weight room, and large outdoor multi-use grass field and rubber track. Dr. Charles Best boasts a new Visual and Performing Arts area, renovated Technology Education shops, a Business Education / Computer wing, renovated auxiliary gymnasium with "sky gym" for weight and fitness training, and new landscaping. A large lighted field is shared with sports teams at the school and in the community. 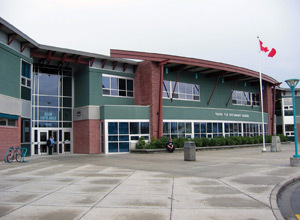 Gleneagle's facilities include an open concept student commons area, large multi-use outdoor field, modern gym and equipment and weight room, an outdoor swimming pool across the street and nearby Town Centre Aquatic Centre (pool, fitness centre). "Opening our Students' Hearts and Minds to the World"
Heritage Woods Secondary is the newest school in our district. A wireless technology network allows laptop computers to be used anywhere in the school by students and teachers. 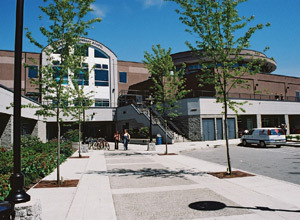 To promote well rounded life choices, Heritage Woods students have access to both a full sized and a smaller gymnasium, a weight room, tennis courts, running track, two full sized fields and 350 seat theatre. 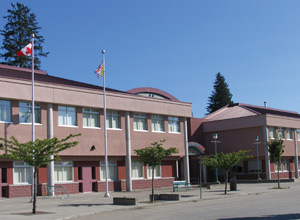 Pinetree Secondary offers a wide range of academic programs. The graduating classes consistently win many provincial scholarships - the highest scholarship rate per-capita in School District 43. 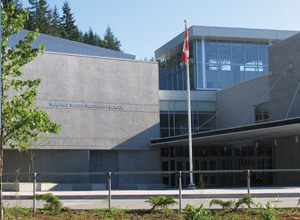 Port Moody Secondary offers International Baccalaureate Program, two gymnasiums with modern equipment, an extensive weight training and fitness area, cafeteria, library, well-equipped large music band rooms, a large multi-use outdoor grass field area, very large open concept multifunctional student common area. 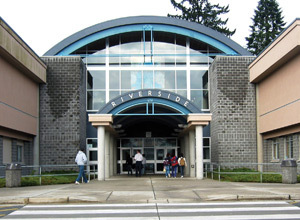 Riverside Secondary School offers French Immersion. 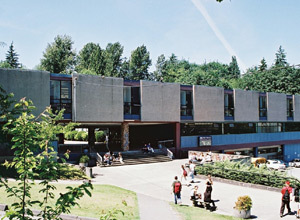 It is known for its Technology Education department and Korean Drumming Group offers a full range of challenging academic and elective courses for every student's needs. Students and staff of Terry Fox are deeply honoured to be identified with the ideals and concern for others which Terry Fox exemplified. T.F.S.S. is well known for its strong athleticism and innovative programs offered in Information Technology and Music. School facilities include well-equipped music rooms, large multi-use outdoor athletic field, modern gym and equipment, and a beautiful 1350 seat theatre.